James, a lot of effort went into your response to Sproul’s video, and I’m kind of bummed about that because it was all based on a misunderstanding. 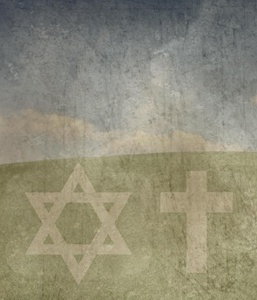 Sproul’s perspective, as in most of Reformed theology, is that, “…the church has always been the Israel of God and the Israel of God has always been the church.” Rather than replacement theology as they are so often accused of, this is a Super Covenant perspective that accords well with Scripture. So in your article (and in your listening to Sproul’s video) you make an assumption that Sproul never does. You ask, “So what’s all that got to do with the rest of us, that is, we non-Jewish believers?” But Sproul takes for granted that what Jesus does for the Jews, He does for all who believe, because there is one people of God, whether Jew or Gentile. In this blog post called “R.C. Sproul, Jesus, and the Doctrine of Active Obedience,” I mentioned that my interest in this teaching was spawned by reading a Facebook post from someone I know virtually and have met once face-to-face. After putting a link to my review of Sproul’s small sermon (actually a sermon excerpt) into that Facebook discussion, he responded (I don’t want to use his name without his permission) by writing what I quoted above. Apparently, there’s supposed to be something about Reformed Theology that has a leg up on Biblical exegesis compared to other Christian theologies. I have a pretty dim view of Calvinism and consider the Calvinism vs. Arminianism duality (the link leads to part one of a four-part series) to be a totally artificial and false dichotomy. The Calvinism/Arminianism debate for me is literally a non-starter. Just on the surface, I don’t see that Reformed theology changed very much anymore than I think the Reformation 500 years ago changed very much about the basic anti-Israel, anti-Judaism platform of basic Christianity laid down by the “Church Fathers”. The first to believe that Jesus is the promised Messiah are Israelites— Andrew, Peter, James, John. But in the Gospels, we also hear Jesus speak of building His church, and we see growing hostility between the leaders of Israel and Jesus. We hear Jesus speak of destroying the tenants of the vineyard and giving it to others (Luke 20:9–18). In the book of Acts, the spread of the gospel to the Samaritans and Gentiles leads to even more conflict with the religious leaders of Israel. So, is Israel cast aside and replaced by this new entity known as the “church”? There are those who would say yes, but the answer is not that simple, for we also run across hints that God is not finished with the nation of Israel. First of all, the word “church” is used anachronistically in this context, and the concept was completely unknown to Rav Yeshua (Jesus) or anyone else in First Century C.E. Israel. One night, nearly two years ago, in a bout of insomnia, I researched the word “church” and found, among other things, that the Greek word “ekklesia” cannot be directly translated as “church” within the context of the Bible. Anyone who does so is taking quite a few theological and linguistic liberties. But we have a hint here that Mathison may not subscribe to “replacement theology,” at least as we commonly understand it. During most of the Old Testament era, there were essentially three groups of people: the Gentile nations, national Israel, and true Israel (the faithful remnant). Although the nation of Israel was often involved in idolatry, apostasy, and rebellion, God always kept for Himself a faithful remnant—those who trusted in Him and who would not bow the knee to Baal (1 Kings 19:18). This remnant, this true Israel, included men such as David, Joash, Isaiah, and Daniel, as well as women such as Sarah, Deborah, and Hannah. Wait! What? “National” Israel vs. “True” Israel? I can see this being abused pretty easily. In a nutshell though, in the “Old Testament,” “true Israel” were those Israelites who did not succumb to idolatry, and in the “New Testament” (Apostolic Scriptures), “true Israel” are those Jews (and arguably Jews and Gentiles) who come to faith in Jesus. I have a problem sub-dividing Israel into national and true, because when Israel was blessed by God, all of national Israel was blessed, and when Israel was cursed by God (such as being sent into exile), all of national Israel was cursed and sent into exile. Consider the prophet Daniel and his companions. As he stated in a quote above, Mathison considers them to be part of “true Israel,” and yet, they were sent into exile along with all of the other Israelites. Also, consider the destruction of Jerusalem and the razing of the Holy Temple by the Romans in 70 C.E. When the Jewish people were exiled from their Land, the “true Israelites” were not allowed to stay while the non-Jesus believing “national Israelites” were exiled to the diaspora. While God has interacted with specific individuals among His people Israel, He generally acts toward Israel corporately, as a unit, not cherry-picking this Jew and that one as “true Israel”. If you read the above-quoted passage carefully, you will see that God mentions two general populations: Israel and the nations. He doesn’t subdivide Israel into “true” and “national”. Again, He addresses Israel corporately and nationally. He will cleanse Israel of her “filthiness,” give Israel a new heart, and put His Spirit within Israel, so that they will walk in His statutes and observe His ordinances. That is, with God’s Spirit within Israel, they will observe the Torah mitzvot as second nature. Their sins will be forgiven. Israel will be perpetually obedient in New Covenant times (which haven’t fully arrived yet, by the way). OK, Reformists believe that when God said “Israel” he also meant “the Church,” and that everything He promised Israel was also promised to the Church, once it (the Church) was created in New Testament times. Charles Cranfield lists the four main views that have been suggested: (1) all the elect, both Jews and Gentiles; (2) all the elect of the nation Israel; (3) the whole nation Israel, including every individual member; and (4) the nation Israel as a whole, but not necessarily including every individual member. Since Paul repeatedly denies the salvation of every single Israelite, we can set aside option (3). The interpretation of “all Israel” that best fits the immediate context is that which understands “all Israel” as the nation of Israel as a whole, but not necessarily including every individual member of ethnic Israel. That’s good as far as it goes, but it also, in my opinion, somewhat misses the point. What makes Mathison think that this entity we refer to as “the Church” will exist as such upon the coming of King Messiah? 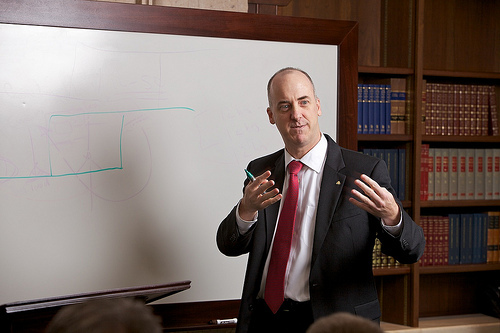 By stating that Israel and the Church are the same thing, Mathison denies the fact that the Sinai Covenant was made exclusively with the Children of Israel, that is, the biological descendents of Abraham, and of Isaac, and of Jacob, and that non-Israelites could only be admitted to that covenant by assimilating into Israel, typically by intermarrying into the tribes (in modern times, we’d say that they would have to convert to Judaism). If Mathison believes that Israel = Church and that Church = Israel, then all of the covenants God made with Israel must, by definition apply to Jews and Christians equally. That means he is either validating the “One Law” proposition, and all we believing non-Jews are obligated to the identical set of commandments of Torah as are the Jews, or that after Jesus “fulfilled” the Torah commandments, they became null and void, since putting your faith in Jesus made it as if you had already fulfilled the Torah and thus, Christ’s righteousness is transferred to you. That basically destroys the Jewish people as a people group and nation unique to God and effectively, any believing Jew at that point converts to Christianity. Except that’s not what the New Covenant language in Jeremiah 31 and Ezekiel 36 says. Re-read the text from those parts of the Bible I quoted above. They are worded such that Israel would literally observe the Torah commandments in the New Covenant era, an era which arguably was inaugurated with the life, death, and resurrection of Rav Yeshua, but one that will not be completely realized until our Rav returns as King Messiah. In other words, this is all future tense. 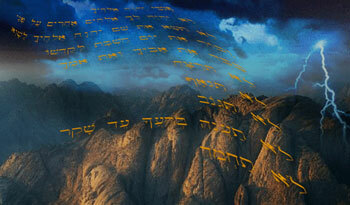 Israel will observe the Torah in the future when Moshiach rules Israel and the world from his throne in Jerusalem. If we are to live as if the King were already on his throne, even though he is still absent, a King in exile so to speak, then one might say Israel, national Israel, that is, the Jewish people, the objects of the Sinai and New Covenants, should observe the Torah commandments now. This is especially true of Jews in Messiah since they have the “down-payment” of the Spirit, and thus there is greater emphasis to observe the mitzvot based on both Sinai and the New Covenant. If Church = Israel, then it means Gentile believers in Yeshua should also observe the mitzvot in a manner identical to the Jews. I don’t believe that’s true, of course, and I’ve written many times on why, including in this summary article about how it’s possible for we non-Jewish people of the nations who have joined ourselves to Israel through Rav Yeshua can benefit from some of the New Covenant blessings. The relationship between Israel and the church in the New Testament is not always easy to discern, but it can be understood if we remember the differences between national Israel and true Israel in both the Old Testament and the New, and if we keep in mind what Paul teaches in Romans 11. Israel’s present hardening has a purpose in God’s plan, but this hardening is not permanent. The future restoration of the nation of Israel will involve their re-grafting into the olive tree, the one people of God. 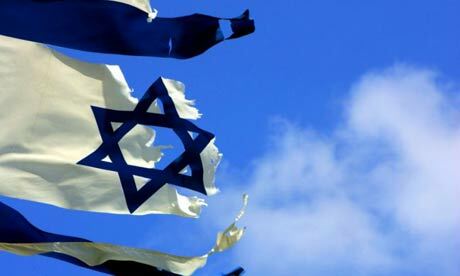 The restoration of Israel will mean their becoming part of the “true Israel” by faith in Jesus Christ the Messiah. In general, Mathison believes that national Israel (though not necessarily each and every individual Jewish person) will be “saved”, that is, merit a place in the world to come, along with the “Church”. But if I don’t believe there will be a Church when Jesus returns, then who are we and what will we be? We will be the people of the nations who are called by His Name. OK, “Christian” is easier to say, but that term comes with a lot of baggage; a lot of anti-Semitic, anti-Jewish people, anti-Judaism, and anti-Israel baggage. That’s why people who think, believe, and behave like me tend to refer to themselves/ourselves by some other “label” than “Christian,” such as “Messianic Gentile” or “Talmid Yeshua”. It also invalidates the covenants, since every single Jewish person who has ever lived was born into a covenant relationship with God. Every single Jew, not just Jesus-believing Jews. Mathison doesn’t say it as such, but the feeling I got reading his article was that the Church was at the top of the heap and Israel, because nationally they’ll only come to faith in Jesus in the end, is somewhat “lesser”. I think causality was reversed. Even Rav Yeshua said “Salvation is from the Jews” (John 4:22), so it is the attachment of the non-Jew to Israel through Rav Yeshua that leads to salvation. Without Israel and her King and without the grace of God, the nations of the world are destined for destruction because we have no covenant status before Hashem (unless you consider Genesis 9 as a binding covenant). Mathison flirts with some pretty good ideas, he just doesn’t take them far enough. He doesn’t flip the paradigm so that non-Jewish disciples are dependent on our relationship with Israel and her King rather than the Jews being dependent on Jesus and the Church. I don’t think any body calling themselves “Christian” or “the Church” will ever truly admit that reality this side of the Messianic Era. I think many of those Christians who “get it” finally have to leave their churches, go someplace else, and do something else, while they/we are waiting for the return of the King (though there are those who do hang in there and are able to maintain their balance). No, I’m not “church-bashing”. During my two-year sojourn in a local, little Fundamentalist Baptist church, I met quite a few men and women who really did have the heart of Jesus, who were doing good, who loved God, who went out of their way to take care of the needy, the hungry, the lonely, and the lost. I admire these people greatly and aspire to be more like them, because they are more like Rav Yeshua (although they wouldn’t think of him as such). I just think Christianity needs to go further back into the Bible and completely rethink and reinterpret scriptures while setting aside anything that “the Church” has taught them. This is why I read and understand the Bible from a fundamentally Jewish point of view (as best as I am able, that is). It’s the only way that the overarching message of the Bible makes any sort of sense. I think there are at least two significant, if not fatal, flaws with Covenant theology. 1. Scripture does not describe anything resembling the proposed “covenant of grace”. It’s the very nature of covenants (specifically suzerain covenants) to explicitly spell out the recipients, terms, conditions, etc… To attempt to piece together a “super” covenant like a jigsaw puzzle is exegetically very weak. 2. Paul in Romans 9-11 affirms that unbelieving Jews are still in possession of the covenants (plural) and even of election. If Reformed Covenant theology is a tapestry, it is admittedly well crafted – however, Romans 11:28-29 is a loose thread that when tugged, pulls everything apart. I should follow-up by saying that I give Covenant theology credit for being more rigorous and plausible than the popular forms of dispensationalism in Evangelicalism. It’s an unfortunate false dichotomy that interprets criticism of one view as a tacit acceptance of the other. 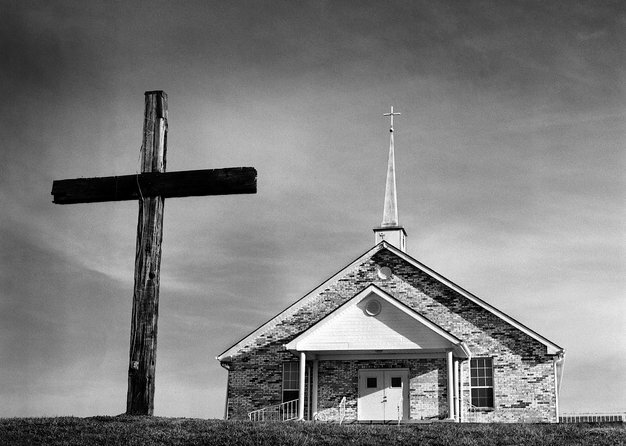 It is the Fundamentalist dispensationalism that is rigorous, not the Evangelical one. Thanks for your comments ryanlawn/danielwesley78 (for people reading these comments, they were made by the same person, just two different usernames). You make a good point about there being no “covenant of grace” established anywhere in the Bible along with the other covenants God made with Israel. I also agree that Paul makes it clear that the Jewish people, all of them, remain parties in all of the covenants involving Israel, faith in Yeshua (Jesus) notwithstanding. This is an interesting point to apply to Jewish people today. Most may not believe Yeshua is Messiah, but that does not annul the covenants of God. Apologies for the username snafu… I had forgotten this account was originally created for another purpose. It has been since re-purposed as a personal account. Another fascinating puzzle of reform theology trying to make themselves Israel physically, and not just spiritually (as grafted in)…to be of the chosen, and not the ‘other’ flock that is given to Yeshua for his pains in being the Savior for Israel, though even the ‘other’ flock is called and chosen in a different way than Israel, and have their inheritance through Yeshua in the nations. Mathison sounds as if he considers ‘National’ Israel to be only putative sinners of the times prior to Yeshua, and the ‘real’ Israel to be obedient and observant Jews of the past…prior to Yeshua, of course, and that anyone Jewish after Yeshua that is not a Believer in Yeshua is automatically damned. And of course, ‘real’ Israel must, for Mathison at least, also contain all of those who are Believers in Yeshua even if they are Gentile who do not take on the whole of the Mosaic Covenant until possibly in the Kingdom. 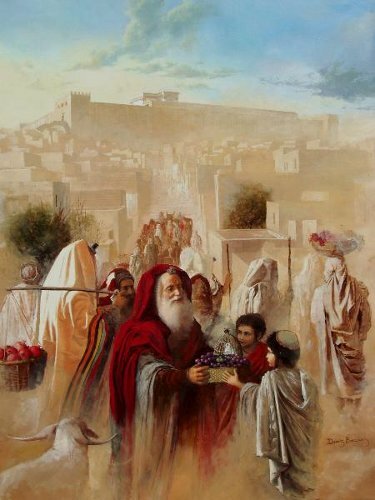 People in the Nations have a really hard time seeing that the Israelites, mostly termed Jews these days, were called to a specific set of tasks…Chosen to be Priest and Kings, and inheritors of the land given to Abraham, Isaac, and Jacob, holders of the oracles of G-d, and sent to be a light to the Nations. Christians will not ever be Priests or Kings in the way that Israel will be in their own land, nor that all of the Scriptures put Covenant keepers at the highest rank of mankind in the Kingdom of G-d, while the Nations will probably be ruled by Talmid Yeshua in that same Kingdom, when we have whatever Mitzvot that are moral and honoring of G-d written on our hearts, while those that separate out Israelites to be Jewish are left to the Israelites. I don’t pretend to know what Yeshua thinks of Observant Jews that ignore or are not aware of him…but they will be judged, I presume, differently than those who are Messianic Jews only as to which judgement they partake in…the Bema, which gets all those that are known by Yeshua into the Millennial Kingdom, or the White Throne Judgement that occurs at the end of the Millennium where those that are not Believers in Yeshua will be tested as if by fire, just before G-d remakes the earth, and comes to be with all of us on the New Earth, in the New Jerusalem. 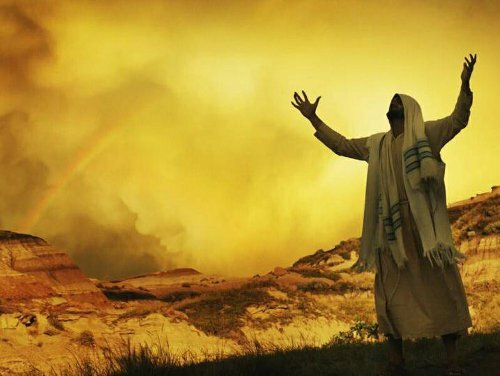 I am delighted to leave the fate of all non-Believing Jews in Yeshua’s hands, for his compassion is legendary, and his appreciation of those who have faith in YHVH boundless. We Gentiles depend on that for our continuance after this life, and for the blessings we receive now. As to the hardening of hearts to Yeshua…if it is done by G-d, you cannot be punished for it, and must of necessity be re-grafted in. I cannot help wonder about Christians that dice and slice the ideas of Israel, and apportion the remainder to themselves. Pride and hubris are sins that cause rebellion against G-d. I cannot help wonder if those Christians who do not see Israel as a special treasure to G-d are setting themselves up themselves for quite a fall. @Questor: I’ve been doing some additional reading on Reformed Theology, especially as it relates to Covenant Theology. I’ll be publishing another blog post on the topic tomorrow morning. It seems the more I look into it, and the more I’m assured by some parties that Reformed Theology fits very well with scripture, the more I find that it doesn’t. How does Abraham whom God has made “a father of many nations” fit into the covenants? 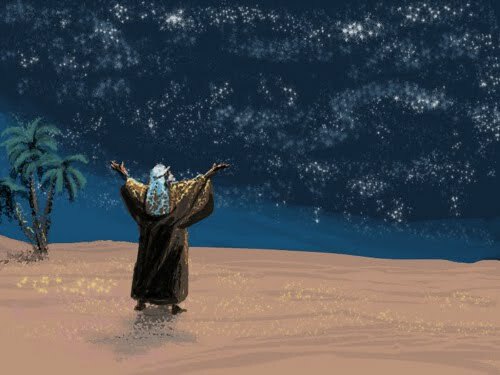 God made his covenant with Abraham, do you think “father of many nations” means the gentiles are actually mentioned specifically in the Abrahamic covenant? Hi Steven. I summarized my understanding of that here. I think I see a distinction in Paul’s writings of those who have “put on Christ” as the “children of Abraham and heirs of the promise” and those who are not in Christ. Do you think that is what this preacher means by “true Israel” and “national Israel”. Not a physical distiction but a spiritual one? Steven, I think that’s how a lot of Christians see it, but I’m rather hesitant. Paul didn’t devalue being Jewish nor did he devalue the Jewish people. I think, based on Romans, that he saw all of his people Israel one day reconciled to Rav Yeshua (Jesus) as Messiah, though they were temporarily hardened (although New Testament scholar Mark Nanos translates that as calloused). I think nearly two-thousand years of Christian theological perspective has made it difficult for most of us to read Paul as he intended his original audience to read him, thus terms like “true Israel” and “national Israel” almost automatically carry a pejorative meaning for the latter group. If Christians do not know how Paul intended his original audience to read him, how do we know we are reading him wrong? It seems to me, no one can say we don’t understand how Paul intended for that would indicate *someone* knows what he intended. What makes you think *you* understand what Paul intended and can say Christians do not? We all have our perspectives, those ways of interpreting the Bible that make the most sense to us, either as individuals or that map to the beliefs of our particular religious groups. Naturally, we’re going to disagree based on theological bias. So how can anyone who knows the aposta y of national Israel in unbelief in the savior reconcile Christ’s command that they MUST believe in God and in Him? Be careful to study the remnant that God has always had in Israel that indeed were part of the true church and the true Israel. Look at Melchizedek who was greater than Abraham and Hebrews declares that Christ is greater in every regard than Abraham and Melchizedek. For any person to not believe in the true Messiah they will perish and it is obvious from scripture that a majority of Israel rejected Christ and thus the Gentiles were grafted in. By Christ’s own words. There is no way to salvation except belief in him and it is apparent today there are many National Jews living in apostacy who will die without believing in Christ and his atoning death. Therefore God has elected some to honor and some to dishonor. Romans 9 all over again.